Almost every lovable relationship has a sense of history about it. 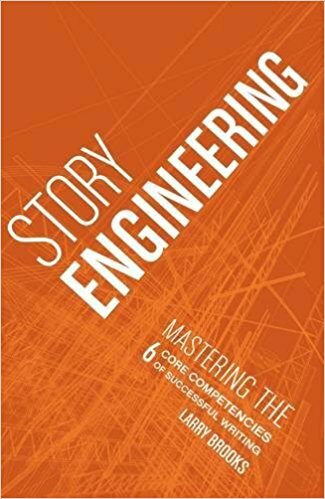 It's either already developed when the story starts, or it develops with the story. I talked a little bit about this in my post on humor. We love when characters have an amusing relationship that goes "way back." In The Office, we love that Jim and Dwight have a history of pranks that stretch back before the first episode begins. You can refer back to a history that's already happened between characters in your story, or, you can start creating a history for them if they've only just met. With Sherlock and X-Files, we're there when Watson meets Sherlock, and when Scully meets Mulder. (By the way, you can make their first encounter amusing itself, but I'll get to that later.) But as the story continues, they start to gain a "history." To use this technique, you just need to refer back to something, whether it happened on or off page. If you refer to something that happened on-page that the reader knows about, it can build on itself and sort of work as an inside joke. On the other hand, if you refer to something that happens off-page, it makes your story and the relationship feel "full"-er--like the relationship, story, and characters are bigger than what can fit in your book. Often the referral is told with a humorous tone, where the characters are remembering the event together, but that's not a hard and fast rule. Here is an example from Sherlock. Dr. John Watson: Don't do that. Dr. John Watson: The look. Dr. John Watson: You're doing the look again. Sherlock Holmes: Now, I can't see it, can I? Sherlock Holmes: It's my face. Dr. John Watson: Yes, and it's doing a thing. You're doing a we-both-know-what's-really-going-on-here face. Sherlock Holmes: Well, we do. Dr. John Watson: No, I don't, which is why I find the face so annoying. The reference to Sherlock's "look" indicates a history of it. This example happens to be an off-page (or, I guess, off-screen) referral. The audience hasn't seen this topic discussed on screen, but it's clear that Sherlock and Watson have talked about it. Off-page referrals are a great way to build a relationship in a small amount of time, which is perfect for the t.v. 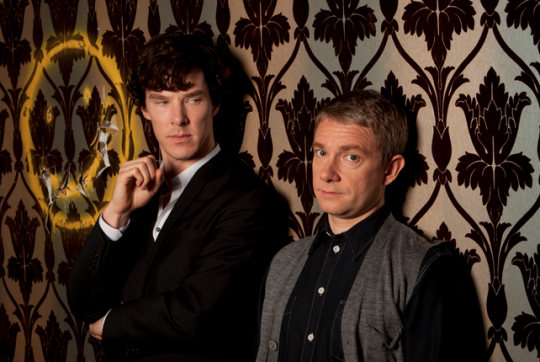 series Sherlock, because episodes can jump across months and years. In The X-Files Mulder has a habit of sharpening pencils and throwing them up at the ceiling so that they get stuck. Scully notices this, and every time she does, we get this kind of warm fuzzy feeling like "oh, things never change" (or at least I do). And then, when their relationship is solid and strong, and Mulder gets abducted, Scully looks up at the ceiling and sees all the pencils stuck in it, and we get a twinge because the "history" they had has concluded. Things did change, and we wish they didn't, and the pencils stuck in the ceiling remind us of how painful it is. This history happens on screen. I mean, we know that Mulder is doing this even off screen, but the audience is part of the history because we see it develop. The advantage of doing this, of having us be a part of the history several times, is that when that particular history seems to conclude, or things change, it hits the audience harder in the gut. We can only get that kind of gut-wrenching emotional response at that level if we've been participants in it. This tactic follows up nicely with the history one. We love it when characters know each other too well. The character may know the other person better than that person knows himself. It's like with Harry, Ron, and Hermione. As the series progresses, whenever Hermione is about to have a Hermione moment, where she goes off to inform Harry and Ron about something she read about, Harry and Ron exchange smiles. They know Hermione so well that they can sense where she is going, and they share in it. They actually both come to find her scholarly moments endearing. In the movies, we hear them finish her sentences. Harry and Ron: --the library. In Sherlock, Sherlock comes to know John better than John knows himself. It's Sherlock that has to tell John that he's attracted to psychotic people. John doesn't see it in himself. In some ways, John also comes to know Sherlock better than Sherlock knows himself. Or, he picks up on things about Sherlock, even when Sherlock tries to hide it from him. At first The Office might not seem to fit into this category or this post. There are relationships, sure, but they aren't buddy-buddies. But, honestly, that show is all about relationships. I mean, look at story concept. It's a show about an office of a paper company. Not much of a driving plot there. It's the relationships that the story is about. And if they got 10 years out of that show, then there is definitely some things about character relationships we can learn from it. So for this point, in The Office, Jim knows Dwight so well, that he knows exactly what to do to get a specific reaction out of Dwight. Jim knows exactly how to prank him. Likewise, Pam knows Michael so well, she can foresee the mess he is going to get himself into before it happens. Then, both Jim and Pam, together, work to deal with Dwight and Michael--either by pranking them or, when it gets down to it, lending them a hand. When it gets down to it, because John and Sherlock know each other so well, and because Pam and Jim know Dwight and Michael so well, they are there for them, help them, and protect them when it counts. You cut out the banter and history, and they've got each others' backs when things are serious. John even tries to protect Sherlock from a broken heart. Sherlock likewise tries to protect John by faking a suicide. I'm a big believer in characters having vulnerable moments. And the vulnerable moments between these character may feel almost sacred. In the X-Files, Scully really wants to be a mother, but because of a history of alien experimentation, she's infertile. Mulder and Scully deal with her personal issue, as coworkers and friends. At this point they are not romantically together, but they've grown close through their experiences. There's a moment in the series, where Scully has the opportunity to possibly get pregnant through in vitro. She comes to Mulder and asks him to be the donor. She's completely vulnerable in that moment. Mulder jokes a little bit, not out of cruelty, but I think to lighten the seriousness of the moment, perhaps so that Scully feels more comfortable, but in the end, he agrees. The pregnancy doesn't take, and Scully is heartbroken over it, but Mulder is there for her. He shares her vulnerability, a part of her that perhaps no one else even knows about. That's what I love about great relationships. There is this space that the characters share that is sacred. As the series goes on, and Scully struggles more with her desire to be a mother, Mulder is always there. He's got her back. And when he has struggles, she's got his. But it doesn't have to be as serious or as personal as infertility. Here and there in The Office, we see vulnerable moments between Jim, Pam, and Dwight. When Pam is having a difficult time, Dwight, indirectly, makes a point to lighten her load, though he'll never admit to it, and Pam herself will never know about it. You can play with that too. You can have open vulnerable moments, where the characters are completely vulnerable in front of each other, like Scully and Mulder. Or you can have closed vulnerable moments, where one character sees/spies/catches the vulnerability of the other, and does something to help her, maybe when she's not looking, like Dwight and Pam. In these vulnerable moments, it's okay if the character "opens up" indirectly. Most people do. It's hard to be direct about sensitive things. But, to kick it up a notch, these characters know each other so well, that when one is being indirect, the other knows exactly what they're really saying. These character need to grow--together. They need to grow as individual in front of each other, and they need grow closer together. Mulder and Scully start out as coworkers, opposites, with Scully as a skeptic. They're strangers. But with each season, they get closer, and closer, and closer, and end up together romantically. Obviously your characters don't need to get romantic. As Jim, Pam, and Dwight grow and change, they also, end up growing closer together. Pam and Jim end up married with kids, but perhaps more significant than that is how close Dwight feels to them by the end of the series. They used to be enemies, particularly Jim and Dwight, and there is this beautiful relationship arc. In the first episode, Jim is always pranking Dwight to get under his skin. In the last episode, Dwight has asked Jim to be his best man at his wedding. Jim says he's going to pull out the best pranks on Dwight--and he does, but instead of pranks that get under Dwight's skin, they're pranks that all lead to Dwight to being happier for his wedding. Again, Jim knows Dwight so well, that he knows exactly what to do to get a specific reaction, but in the last episode, he uses that knowledge to better Dwight's life. Likewise, I love how in the Harry Potter movies, when Harry explains he's a horcrux and has to die in order to defeat Voldemort, Hermione, who had had a very rocky start with Harry and Ron in book one, says the line, on the verge of tears, "I'll go with you." If your character's relationships are going to grow together, we need to see something to drive it home, a validation. We need to see Jim using his pranking mastermind to make Dwight's wedding the best ever. We need to see Hermione willing to go with Harry to his death. I also really like Harry and Dumbledore's relationship. In the sixth movie, Dumbledore talks about how Harry needs to shave, and remembers how Harry used to be the boy who lived in a cupboard. Through a few lines, we get a sense of how Dumbledore has seen Harry grow, and, of how they've grown closer together. Dr. John Watson: There are lives at stake... Sherlock. Actual human li... Jus-just so I know, you care about them at all? Sherlock Holmes: Will caring about them help save them? Sherlock Holmes: Then I'll continue to not make that mistake. Dr. John Watson: And you find that easy, do you? Sherlock Holmes: Yes. Very. Is that news to you? Dr. John Watson: No. No. 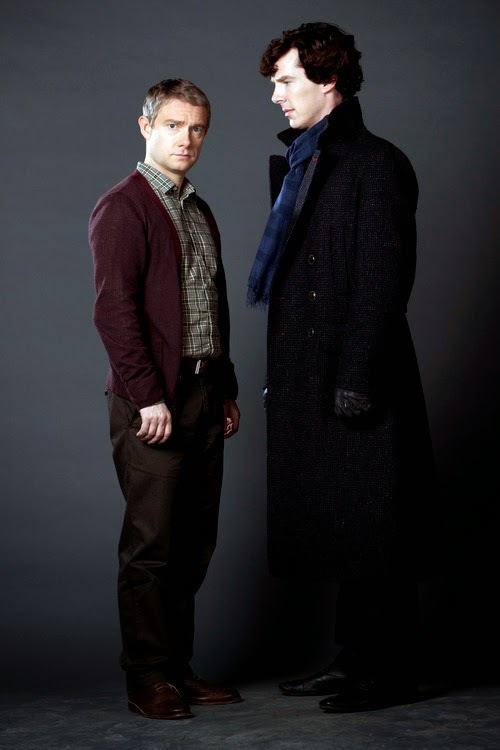 Dr. John Watson: It's good... it's good deduction. Yeah. Sherlock Holmes: Don't make people into heroes John. Heroes don't exist, and if they did I wouldn't be one of them. Often in great relationships, the characters' views of one another change. 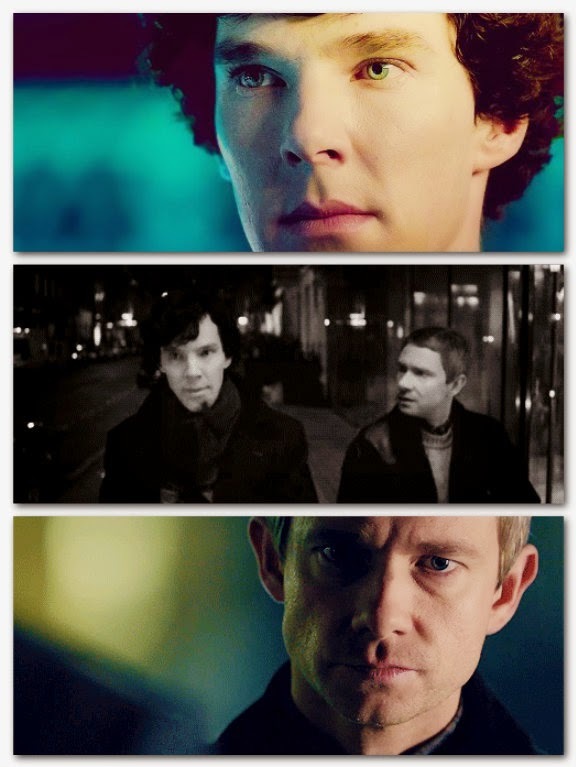 Sherlock goes from having no friends, to feeling like John is his best friend. 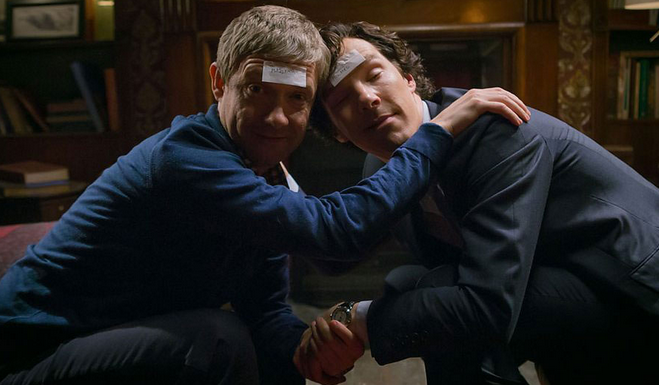 I love, though, how even after this, Sherlock can't conceive that he could be John's best friend. These characters can also grow because of each other. Because of John, Sherlock learns to be more caring of others. The characters in these relationships need to be opposites in some points. Mulder believes in aliens and the supernatural. Scully is a skeptic. Sometimes we think that best friends are completely alike--don't make the mistake of making them copies of each other. That's not how you create these kinds of relationships. When the characters foil each other in some way, we have more depth, more breadth to play with in their relationship. And if they are the same, they won't be able to bounce off each other for our amusement. An important point to remember is that they don't bounce off each other cruelly. They aren't cruel or mean-spirited toward one another. They're pals with differences. The characters' oppositions (especially paired with a sense of history) can lead to them being nit-picky about each other. They might be opposites in little things. These are banters. The characters might be genuinely annoyed, but again, they aren't cold-hearted and cruel. The things they are nit-picky about should usually relate to characterization. You might not want to use cliches, like the fact that say, Sherlock is horrible at squeezing toothpaste from the tube. Instead, it could be the fact that he keeps dead bodies in the fridge that irks John, for example. Cliches can fall flat. But, not always. Sometimes they play of relatability, or it's funny because it's a cliche. Like when Mulder and Scully have to go undercover as a married couple, Mulder says, "Woman, make me a sandwich." It's a cliche, but it's funny because it's a cliche, and Mulder is saying it. John complaining of Sherlock's "look" that I mentioned earlier plays into the nit-picky stuff, as well as history (and as well as John knowing Sherlock too well). The characters may have the same core beliefs, but different views or approaches to them. It might just be the little things they get annoyed over. I was once at a Harry Potter conference, where, in one of the sessions, the speaker talked about how Rowling takes advantage of human touch in her stories. She would often mention her characters touching. Well, most writers and stories should do that, frankly. You can use these languages of love between your characters to make their relationship feel more meaningful. It can also keep you from relying on the same language too much. Maybe you tend to have your character verbally express (if only indirectly) that they care about each other. This list lets you mix it up and try some other methods. Sure, Gary Chapman is a marriage counselor, but this works for any kind of relationship. If the two people in your relationship are two tough guys, you can still use these, just use them the right way. They don't have to say, "I love you." They can say, "Man, you're freaking boss." The gift giving doesn't have to be sentimental. It can be simply one guy getting the other guy his favorite candy bar out of the vending machine at work. Touch can be a high-five or a knuckle bump. Quality time can be going out for drinks, working out together, or watching sports. Once the relationship is established, or, we as an audience can tell these characters are going to have a valuable relationship, we usually look back fondly on their first meeting. Harry meeting Ron and Hermione--fans reminiscence about it. If your characters' relationship is already established when the story starts, you might want to consider having one of them look back and remember how they met and what they first thought about each other. Sometimes the characters start off hating one another, like Ron hating Hermione. Other times they hit it off immediately, like Michael and Holly in The Office. Their first impressions of one another might be different than their later perceptions. Or their first impressions may simply go deeper. Sherlock, is even crazier, more arrogant, and more intelligent than John first realized. Whatever the case, their perceptions of each other change in some way as their relationship grows. In romantic relationships, the characters usually have what's actually called a "meet cute." It might be one character stumbling into the other, knocking the papers out of her hands. It might be accidentally shutting a door on the love interest. Watch just about any given romance movie, and you'll see it. You can spot it in Frozen. The first meeting between the characters doesn't have to be significant. You could one character hailing down a taxi for the other. But whatever it is, it often grows to feel significant because of the relationship that develops thereafter. That relationship wouldn't have existed without that first meeting. With that said, I like it when writers go beyond "stock" meetings. (So many meet cutes are renditions of the female looking stupid in front of the male.) See if you can come up with an interesting setting. Think about what these specific characters' first meeting would be like. When Sherlock and John meet, Sherlock uses his classic reasoning of deduction to figure John out. That's a meeting only Sherlock can have. It's not a stock meeting. Maybe you can use the meeting to illustrate your characters' foils. Or, that they share the same passions. You can make it serious. Perhaps they become friends because they are stuck together in a life-and-death situation. Maybe they are forced together. Katniss and Gale become friends because they were both hunting to feed their families. Maybe your characters share a mutual friend--that they both hate. Or, a mutual friend who swears that these two people would be perfect for each other. Whatever the case, see what you can come up with to make this meeting original. Take time to brainstorm it. 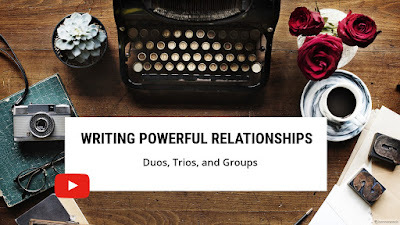 When you create powerful relationships between your characters, you give yourself a source to pull all kinds of emotions out and into your story. A great relationship has a huge emotional breadth--the characters share laughs, have arguments, endure trials, exercise loyalty, and expose their vulnerability, with each other. It is the cultivation of a great relationship that can enable you to hit your audience right in the gut with laughter in one scene and right in the heart with another. I agree with your assessment of Sherlock. Sir Arthur Conan Doyle's work is easy to dramatize! It's been a long time since I've seen the X-Files, but I can still remember the pencils :). And all I can say is: Dragonball! Let's not forget Buffy the Vampire Slayer and her Scooby gang. Or Firefly and crew. Joss Whedon's finest works in relationships. 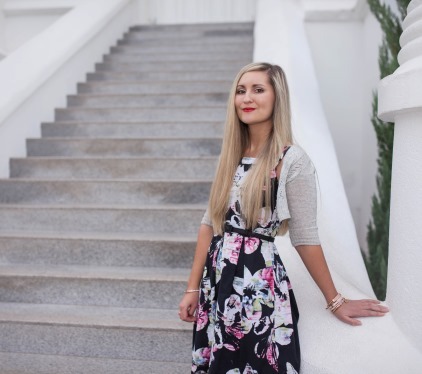 This is an amazingly helpful post. Thank you! Interesting stuff, tad uncomfortable with some of the examples delivered, but the specific ideas, arguments and suggestions were excellent and well laid out. I loved the history one especially. Your idea about putting your characters in a grocery store is a good exercise. I put various characters together to go grocery shopping to see if it was their circumstance/setting that made their relationship interesting, or if the relationship itself could hold up. Yeah, it can be a helpful little test. Thanks for reading and commenting.